Tile is an excellent choice for your kitchen backsplash. We at Stone Masters understand that adding a backsplash to your kitchen is an easy and inexpensive way to update a tired space. There are many stone surface providers in the Toronto area, and we like to think we’re in the upper echelon of those, so you should not hesitate to take a look at our tile products which can add an air of sophistication and colour to your kitchen. The Toronto housing market is very competitive and sometimes it can be the smallest detail that sways a potential buyer. Why not give yourself a leg-up on the competition with some beautiful tile from our inventory to add an accent colour or attractive mosaic to your backsplash? At Stone Masters we are committed to providing our customers with the stone and tile surfaces of the highest quality and our international buyers subject the materials to rigorous tests to ensure they meet or exceed our standards. 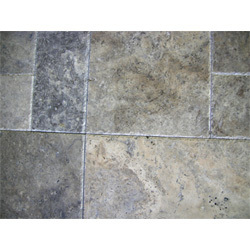 We offer the following tile options and each comes in a number of beautiful hues and tones. Granite – With eighteen options for your granite tiled backsplash, it would be almost impossible to not find at least one to match your colours. Most times when customers inspect our granite tiles the problem is only coming up with one choice. The polished finish on our granite has a brilliant luster and will really upgrade your kitchen to a new level of stylish functionality. Marble – We have over twenty different styles and finishes in our inventory and you are guaranteed to find something that will add a special spark to your kitchen backsplash. We have colour schemes that range from natural and Earth tones to more polarizing reds, greens and black finishes. The clean, smooth look of marble is a timeless classic and should be a focal point that catches the eye of your guests. Travertine – There are twelve different choices in our Travertine line of tile for your kitchen backsplash and they are all variations of classic Earth tones, so they will look great in your home no matter what your base colours are. Travertine tiles have excellent depth and shading which make them perfect for hiding a little soup splash here or there. 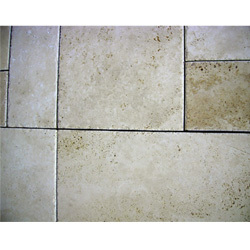 We at Stone Masters also offer four different French patterns of our Travertine tiles If that is more your style. Stone Masters specializes in tile of various stone materials and our specially trained customer service staff is just a phone call away. We employ several interior designers and style specialists that can walk you through the process of selecting the right tile material for your backsplash, so don’t hesitate to contact us. We have something for every household and you can expect a first class experience no matter how big or small your project. The custom work we perform is unparalleled and we cut some of the most precise tile in the Greater Toronto Area so give us a call and let us walk you through our virtual showroom today. 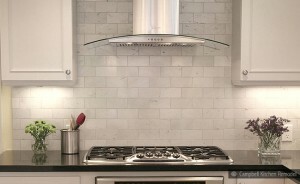 Looking for backsplash tiles in Toronto for your kitchen or bathroom? Look no further: you will find a large number of glass and stone tiles in various colours and widths right here at Stone Masters. We offer so many backsplash tiles that you might feel overwhelmed – especially if you don’t have experience with remodeling projects. All you have to do is give us a call and our knowledgeable interior designers will help you decide what you need. You can also experiment with the visualizer tool for some ideas. If you’ve already settled on a countertop, you will need to go with a backsplash that compliments it. If the countertop has neutral or subdued colours, you might want to add some colour with backsplash tiles. If the countertop has a lot of colour, balance things out by having a subdued backsplash. Keep in mind that neutral backsplashes can be spruced up a bit with an interesting pattern or surface. We offer several different finishes for our tiles, ranging from polished to tumbled. Stone and glass tiles in different patterns are available in our catalog. Be consistent with the pattern. Even if you want to mix and match, the tiles you choose should still look like they go together. Inconsistency with the patterns will only make the kitchen or bathroom look messy. Even if the backsplash space is very small, you’ll still want to make the most out of it. It’s a focal point, no matter where it’s at or how large it is. People WILL notice if you make a mistake or use cheap looking tiles. It’s in your best interest to use high-quality glass or stone tiles that complement the surrounding wall and countertop. Travertine is always a good choice for tile, as it is among the most unique materials you will find on the market. It’s highly favored among homeowners due to its attractiveness and distinctiveness. Travertine is a type of limestone and features characteristics such as unique specks and a range of colours. 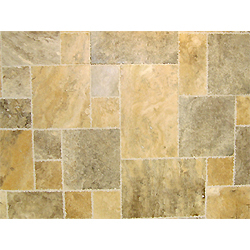 We offer pink travertine, French pattern silver, French pattern ivory, classic, yellow travertine, and more. Tiled marble is also a good choice for backsplash. It’s functional, easy to clean, and elegant. To complement other elements in the kitchen or bathroom, marble is available in a variety of colours, including Baltic brown, black galaxy, platinum, crema venizia, etc. We offer 26 different colours of marble tile. Your third option is granite. If you already have a granite countertop, a full granite backsplash might be too much; it would be better to stick with marble. However, if the countertop is made of something other than granite, a granite backsplash might go well with it. You’ll find many attractive choices in your catalogue, from emerald pearl to ivory fantasy. As for the finish, you could go with the smooth look of honed stone tile, the antique look of tumbled stone, slightly weathered brushed stone, etc. Still unsure what you need? Stone Masters has a lot of experience in the Toronto area. Talk to our customer service representatives and they will help you decide on the perfect tile backsplash design!